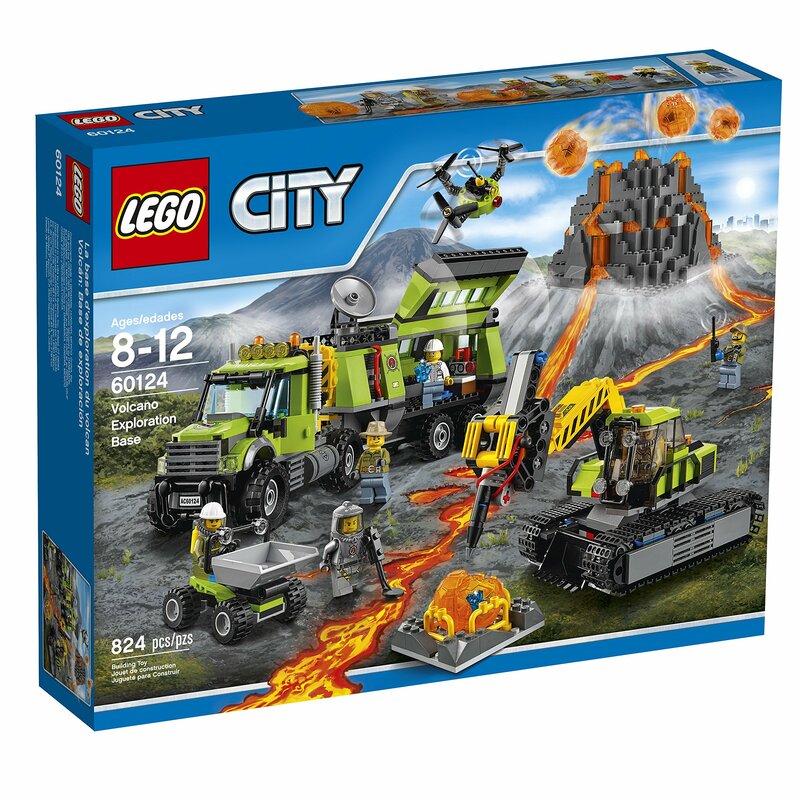 Home › Toys › Lego City Volcano Explorers 60124 Volcano Exploration Base Building Kit (824 ..
Lego City Volcano Explorers 60124 Volcano Exploration Base Building Kit (824 .. Style:Volcano Exploration Base Help the scientists and explorers discover newinformation about the volcano! Find a spot to set up the exploration base sothe scientists have the equipment they need. Then use the excavator and dumperto place boulders in the rack and break them open to find the crystalelements. Fly the drone over the volcano to get a bird's eye view. Sciencerocks!.